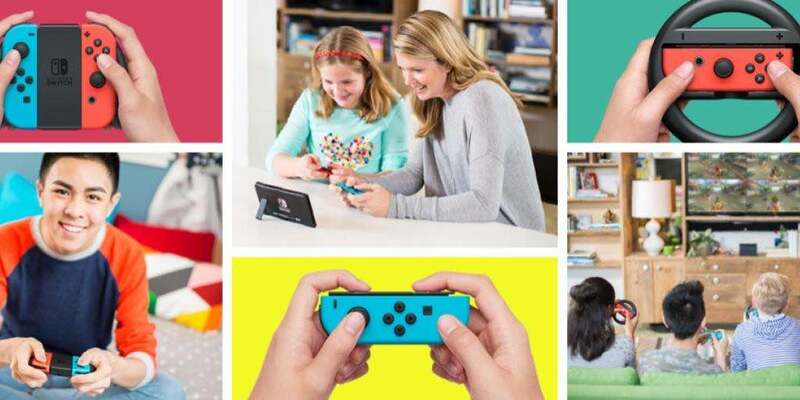 Nintendo Switch Online Service Priced At $20 A Year | Nerd Much? The prices have finally been revealed! The Nintendo Switch online service will cost $20 for a year, $8 for 3 months, and $4 for a single month. The playing games online will be free until the entire service launches sometime in 2018. Some of the features that come with the online service are the voice chat and online lobby. A demo version of this will be available this summer. The online lobby and voice chat are a part of the mobile app and goes beyond a simple chat service. You can invite your friends to play online, and schedule play sessions. It seems that the voice chat is still restricted to folks that are your official friends online, hopefully that will change once the service becomes available in full. The best part of this online service are the free games. Though Nintendo claimed before that subscribers will receive a new batch of games each month, it seems now that they will have ongoing access to the library of classic games. At the service’s launch, the library will include NES games, such as Super Mario Bros. 3, Balloon Fight, Dr. Mario, and Super NES games are still in the works. It is still not clear if this library will include other games from Nintendo’s Virtual Console and if this service will replace that store. It would certainly save a lot of money, to have games from the previous consoles for only $20 a year. Such a selection would almost make this service far more worth the money than the current subscription services provided by Xbox and PlayStation. What do you think of Nintendo’s online service? Does it sound worth it to you? Let us know your thoughts in the comments below!